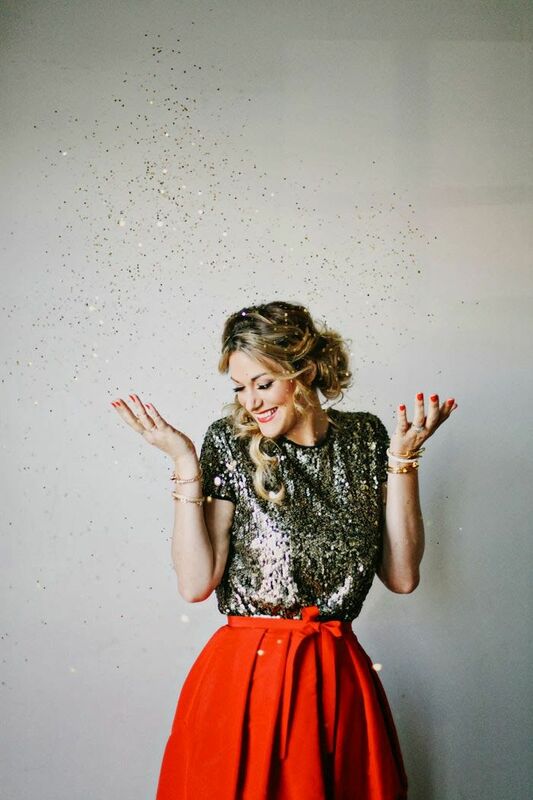 Holidays are really worth shining bright like a diamond, and i’ve prepared a bunch of ideas for you! 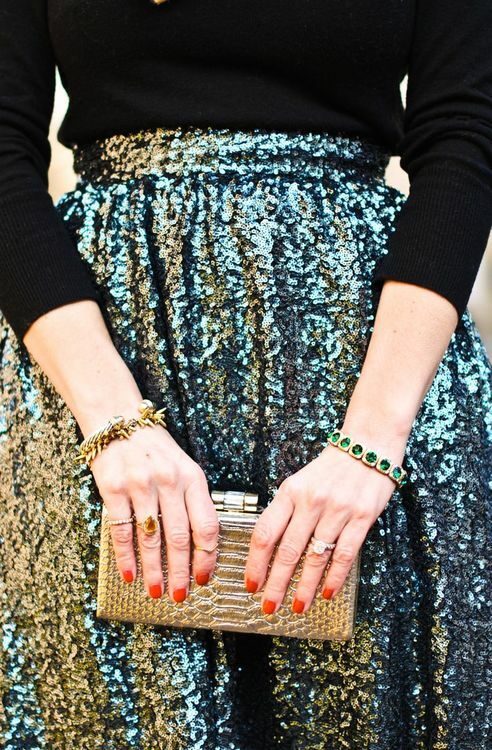 Sequins are a great way to stand out at Christmas without much efforts – they are so cool! 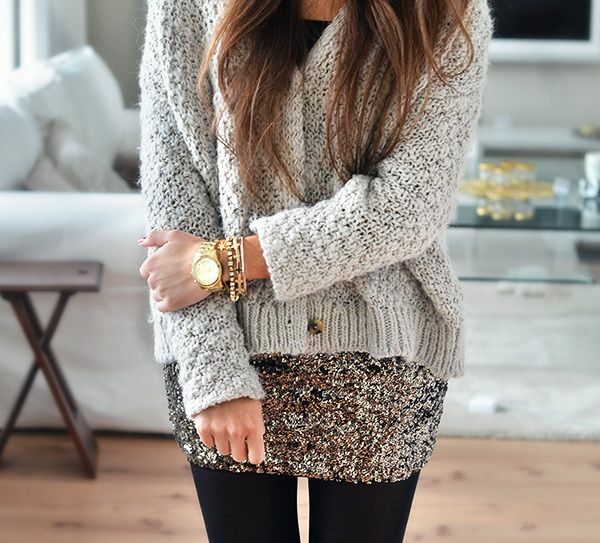 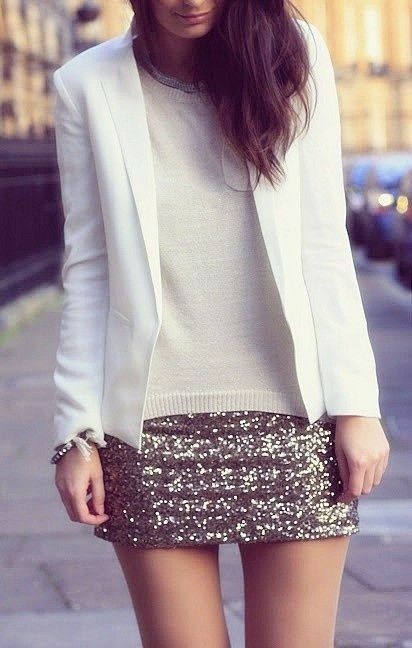 Mix a sequin skirt of any length you like and a sweater, add a scarf or a jacket to get a cozy yet stylish look. 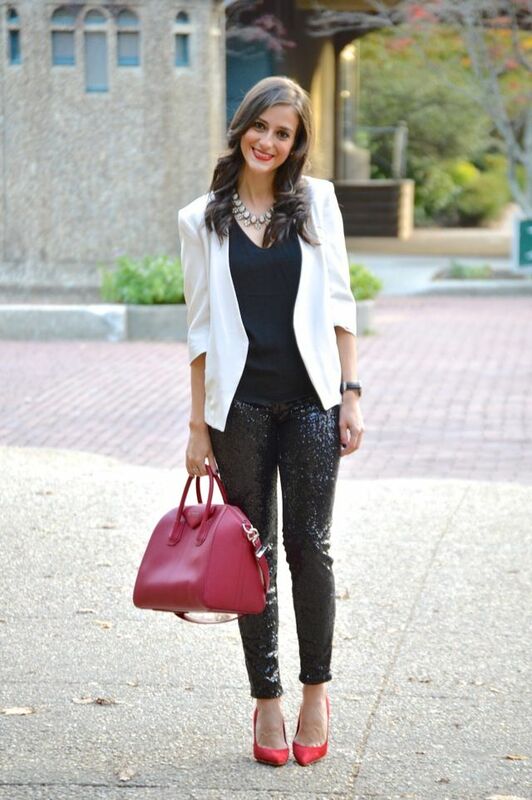 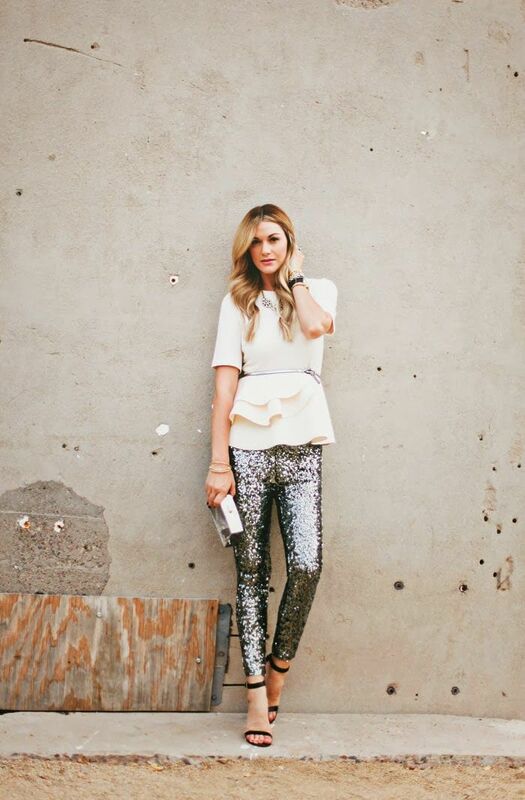 Sequin pants are awesome to rock them with some neutral shade top or sweater and a pair of gorgeous shoes. 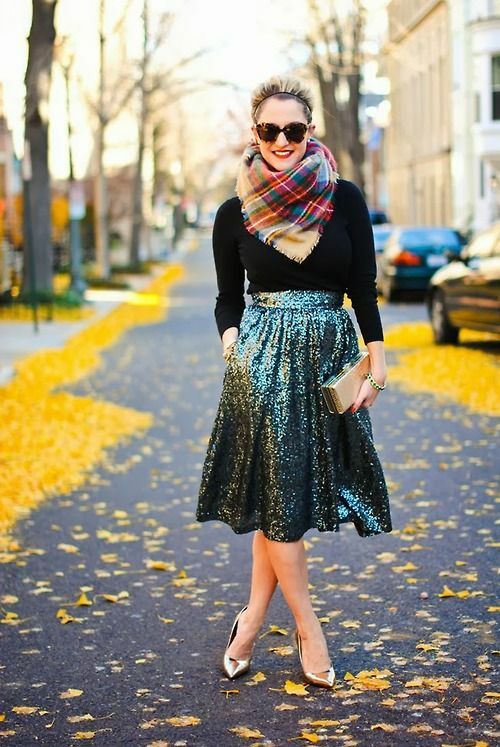 If it’s warm enough, substitute the sweater in these looks for a checked shirt in traditional Christmas colors. 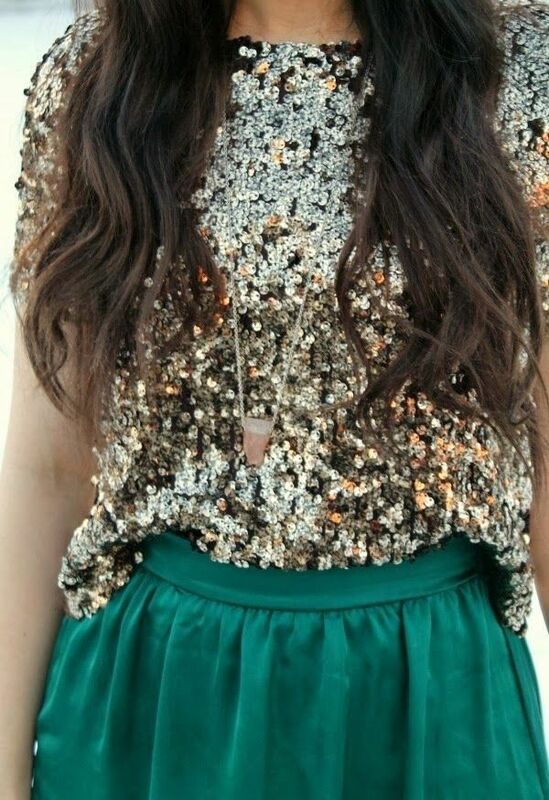 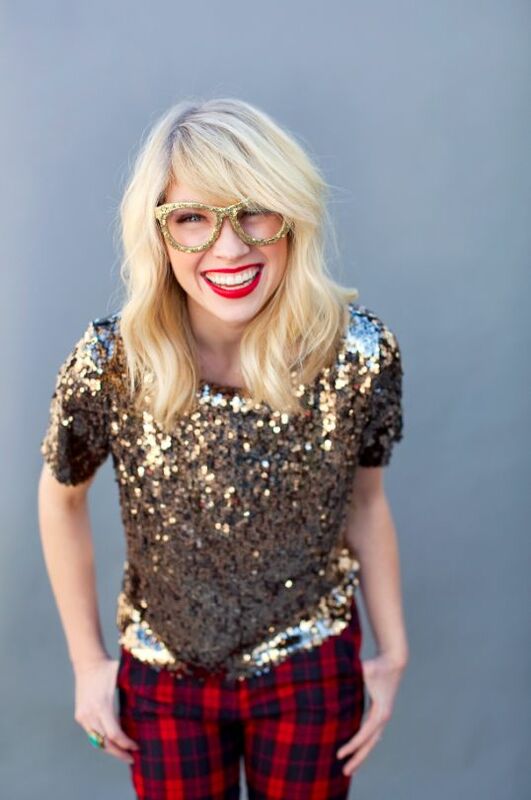 If you have a sequin top, it’ll look perfect with a tutu skirt or a usual one in some holiday color. 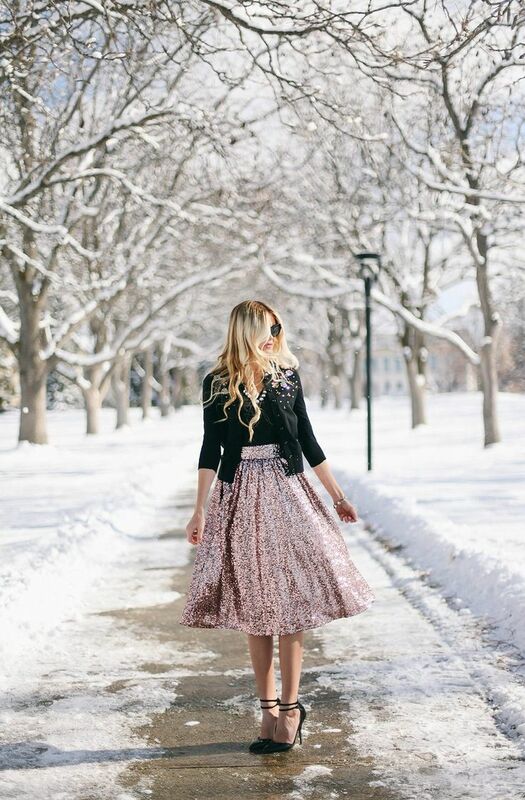 Get inspired by the ideas below and shine bright!